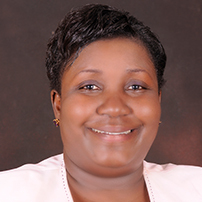 Is a Member of Parliament in the Tanzania National Assembly for 2015-2020, She has worked with civil society sector in Tanzania for more than 20 years fighting for women and girls rights. She holds a Bachelor Degree in Development Studies. He is a committed women practitioner, gender activist/analyst and a global women leader in Parliament and out of parliament. She holds one important global award i.e. Emerging Women Leader of the Global South-Coady International Institute/CIDA Canada-2012/3.